Travel for the young is not a bucket list wish, its a priority and with over 285 million young people travelling last year to tour, study or work this is an important market to tap into. Youth travellers stay longer and spend more in a destination as compared to your average business traveller. Their dispersal is greater and their influence is vast. This highly motivated segment are constantly planning their next trip and they more choice than ever before. They seek authentic travel experiences, heritage, culture and of course something with the cool factor. During this session we will uncover the latest trends and statistics on global youth, student and educational travel. We will also look at who is successfully marketing to generation XYZ and share with you how you too can Capture Your Youth. This session is FREE to all World Travel Market delegates and is part of the official event programme. Delegates will have access on a first-come, first-served basis, however you can register your interest to attend. Tim joined STA Travel Group in 2002 after travelling across Asia following the completion of his degree course at Leeds Metropolitan University. He has amassed 15 years of experience at all levels of the travel business during his tenure with STA Travel. Starting as an in store Travel Expert with direct access to STA’s customer base, he was then appointed Store Manager of STA Travel’s flagship UK store in Victoria in 2007. 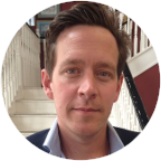 In 2012 Tim was appointed Head of Product Trading for the UK business before expanding his responsibilities in 2014 when he additionally assumed control of the UK company’s marketing teams as Product and Marketing Director. 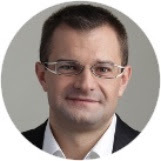 In 2016 he was promoted again to Country Manager UK & France leading the largest of STA Travel’s travel agency regions with 487 employees and responsibility for USD 270m of sales with a 13.2% margin on sales. Simon is the founder of Hype Collective, a youth marketing agency that co-creates campaigns with a network of 5,000 university sports teams and societies. 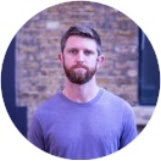 Prior to launching Hype Collective, Simon was head of consumer at Campus Media, an award winning youth marketing agency, and co-founded TEDxClapham. He has been lucky enough to work with brands like L’Oreal, Co-op, Shell, Amazon, KFC, StudentUniverse and Barclays. 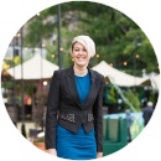 Anna Fawcett is the Global Head of Marketing at Topdeck Travel, with a decade’s worth of experience in capturing the youth market in tourism and entertainment sectors across the globe. 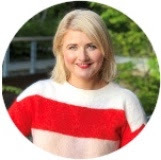 As former Global Influencer Manager (amongst various other roles) at VisitBritain, Anna understands the importance of storytelling and co-creation in marketing to the 18-30 something demographic. Previous ‘wins’ for Anna in this space include ‘Best Global Partnership 2017’ (PRWeek Global Awards) and ‘Europe’s Leading Marketing Campaign 2018’ (World Travel Awards). 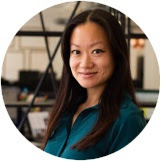 Natalie is the Global Brand Manager at Hostelworld Group and responsible for developing the brand comms strategy and leading Hostelworld’s creative execution. Before joining Hostelworld, Natalie spent seven years at easyJet where she managed the brand and creative teams, delivering brand campaigns across easyJet’s pan-European network. Sophie joined Hostelworld Group in November 2015 as Student Marketing Manager and now leads the Marketing Partnerships division, responsible for all strategic partnerships and sponsorships globally.Prior to joining Hostelworld Group, Sophie spent six years in both the UK and Australia delivering high profile marketing campaigns at HBO, 20th Century Fox and Warner Bros.Sophie holds a BSc degree in Management Sciences from the University of Loughborough. Ms Cope joins Tourism Australia from Ultimate Winery Experiences Australia, where she was Executive Officer. 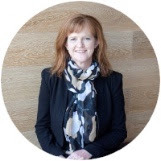 She has 25 years’ experience within the travel and tourism industry, previously holding leadership positions at Anthology, Voyages Hotel and Resorts, Qantas Holidays and Travel 2 in London.Ms Cope is a highly respected and connected tourism expert who has been marketing Australia to the world for over 25 years. From start-ups and scale-ups to major industry heavy-weights, her commitment to driving a positive culture both within organisations and beyond has resulted in consistently strong commercial results and exceptional customer experience.